Search engines favor sites that organize large volumes of unbiased content, including businesses, into online resources that provide highly relevant and useful results in search . Localizing products in targeted markets within an unbiased directory using the top ways buyers search for them can help search engines match products to searcher locations. CosmeticSurgeryCT.boomja.com is an authoritative portal of cosmetic surgery professionals in Connecticut. 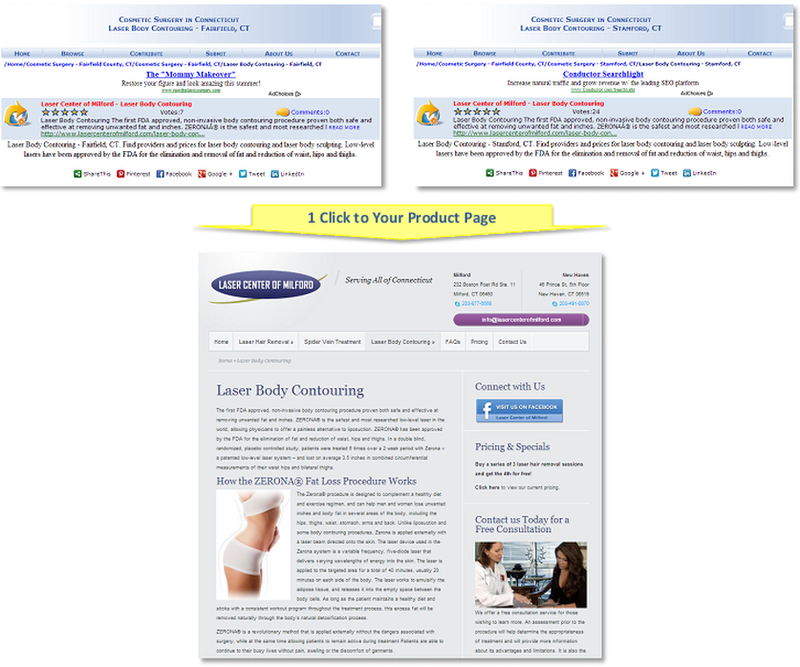 Cosmetic laser procedures are localized under the general business listings in selected cities and towns to help advertisers reach local prospects in organic search results when they are searching for information and professional help with these procedures. 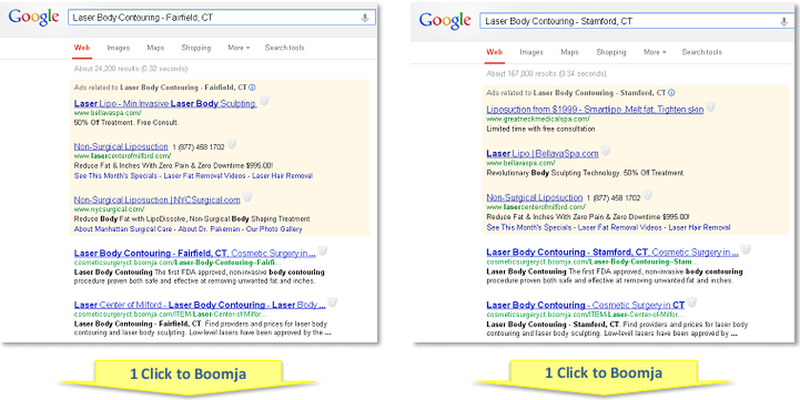 Get unlimited clicks from organic search results for the length of your contract. NO black hat tricks and NO click fraud issues.